Nowadays, most of the businesses run on Internet. If not, Internet helps them to reach to the global audiences. Starting from a very small to an extreme big businesses, everyone uses Internet. To make use of it, there are numerous types of PCs and Laptops available in the tech market. With this, passing of time, new computers and Laptops and of course smartphones get launched and help the technology world to shine on the top of the list. In addition to this, there are a few basic things of using such Laptops and PCs. If you are engaging with Computers, you should know some of the basic things of them. Being working as a blogger, people have always been asking such basic things about PCs. With respect to their needs, here we have compiled a tutorial on the same topic. If you are pissed with sleep mode of your current PC, there’s a trick to be used there. Following tutorial will teach you on how to prevent Laptop from Sleep mode when closing the lid. See details are as follows! Click Start Menu of your PC and then select Control Panel. After this, you would have a control panel of your entire system with lots of options there. Click on to the Power Options and then Power Options Properties and you will have a new Window. Look up to System Standby option. Here you will be seeing all the options to sleep your Computer. You can adjust the timing of Sleep mode or even when you can change the settings of preventing it from sleep mode when closing the lid with the same option. Initially, click on to the Start Menu and then select Help Center. In the search box, enter Power Management Setting and move a step ahead. Click Change Power Management settings and at the next moment you would see a whole new Window of Power Options. 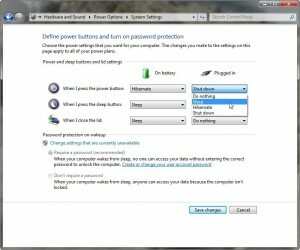 Click on to the Change When the Computer Sleeps option and you would be able to change the settings of your Windows PC from there to prevent it go on Sleep mode. If you are much familiar with shortcuts, just enter lid in the start menu and hit the enter button. You will have a whole new Window from where you can easily change the Sleep mode timings and other things right away! Apple has been the most amazing brand ever made for a human beings. It has got a couple of systems available with their own OS called Mac OS X. There are a few devices like Macbook Pro, Macbook Air, iMac which run on Mac OS X. If you are a proud Apple owner and want to learn the same process of not sending it to sleep mode, follow the below mentioned steps. First of all, click on to the Apple’s logo which is right there on the upper left corner of your system. Now, select System Preferences option. This option can be called as a heart of your system. You can change all of your system’s settings right from this option. 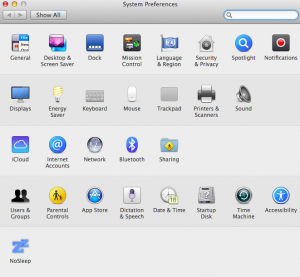 In the System Preferences folder, search for Energy Saver option and click on to it. 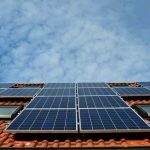 You would see all the available options for saving your system’s energy there. You can manually change the timings of a Sleep Mode or you can select the options which would be given right there on the same Window. For more, you can check the app named as No sleep which can be shown in the following given image. You’re done! To see the changes recently made by you, you can leave your Macbook Pro or any device just to see whether the problem gets fixed yet or not. It’s fixed already! So folks, these were all the things you need to know which help your PC not to sleep again and again. It’s all about settings in the system, if you are not good with anything, you can always ask for someone’s help. Above given tutorials are very well explained and I don’t think so you will need anyone’s help for fixing up this problem. Give it a try and start being productive! What’s your take on this? Do you know any other way of doing the same thing for Windows or Mac? Do share your experiences with us. You could share your views and opinions about the same thing too. Meanwhile, if there’s any queries or questions arise on your mind, feel free to let us know. We would like to help you out with proper solutions. Your feedback and suggestions are always welcomed! Till then stay tuned with us and get all the recently happened things in the tech world. We serve the best in Technology here!